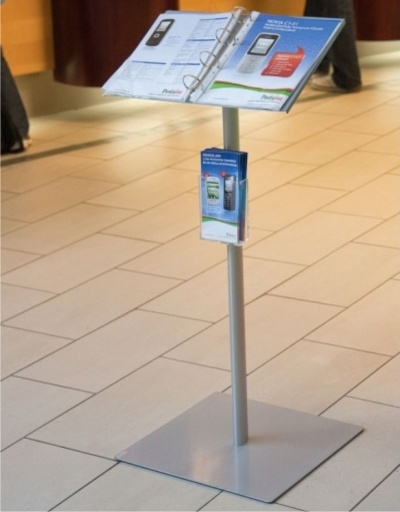 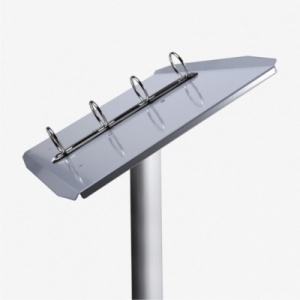 Freestanding Ringbinder Brochure / Menu Display Unit with elliptical silver anodised aluminium post and powder coated steel base with rubber feet for extra stability. 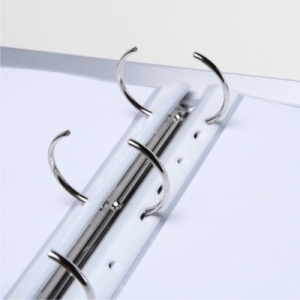 It features and angled top with a chrome 4 ring binder for A4 sized holders. 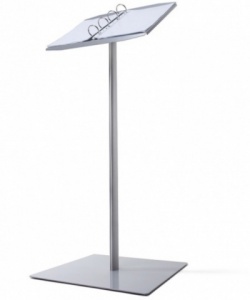 Supplied flat packed for easy self assembly in minutes.